A leading space expert who has directed and produced a host of critically acclaimed astronomy documentaries has said the average man on the street will be able to move to the moon within the next 70 years, as the commercialisation of spaceflight continues. Speaking to Yahoo! News, Dr Christopher Riley, who has written thirty articles and books on astronomy and planetary science, claimed President Obama “didn’t get” NASA and the decision to cut back funding for missions to the moon was a "great shame". "In the 1970s we were living on the moon," he said. "Human beings were going there for three days at a time, they were driving vehicles around on the surface and carrying out experiments. "Of course we should attempt to colonise the moon because it is a precious gift of luck that has thrown this curveball our way. Why would you drop the ball and give up?" 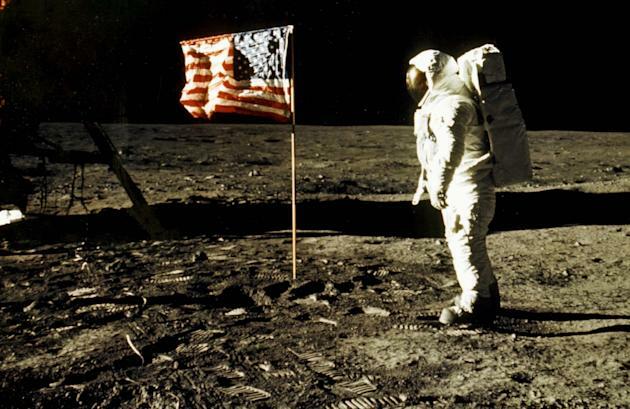 The first manned moon landing in 1969 thrilled the world, but five successive missions to the lunar surface saw interest decline and a lack of funds eventually spelled an end to the Apollo space program. Eugene Cernan and Harrison Schmitt were the last men to walk on the moon in December 1972. "In engineering and scientific terms it is certainly possible to utilise the moon," Dr Riley said. "Whether we choose to do it in both political and social terms is another matter however. I think given the economic downturn and the impotence of governments, it will be a huge challenge." He continued: "The model here is to look back at the era after the Wright brothers made that first powered flight in 1903. Quickly after that governments got behind the idea, then it was commercialised. The colonisation of the moon would rest on following this model." 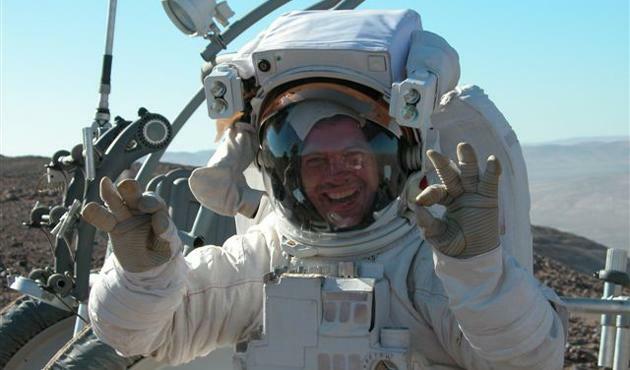 US-based company Space Adventures already offers 18 day space tours with a 90-minute spacewalk thrown in. The price? You won’t have much change from £21.6m [$35m]. So far only seven people have enjoyed the holiday with a difference, and they've all had a few quid to burn. Dr Riley is more excited by Richard Branson’s ambitious Virgin Galactic project, which proposes to ferry passengers into sub-orbital space for the princely sum of £123,000 [$200,000] when the scheme finally gets off the ground in 2014. 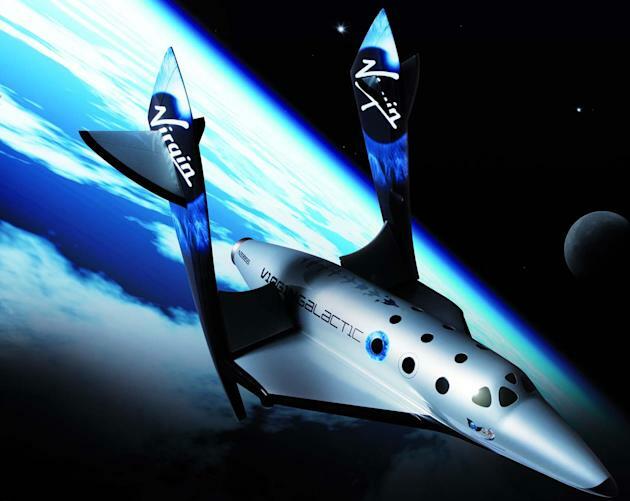 "Virgin Galactic is a fledging cusp of this turning point, the prices are relatively affordable for affluent people. These are the beginnings of the commercialisation of human space flights. The tipping point will come when a private person is able to fly to space and break even or maybe make a profit through advertising or other ventures." Dr Chris Riley spoke to Yahoo! News ahead of the release of the film 'Iron Sky' on 23 May.